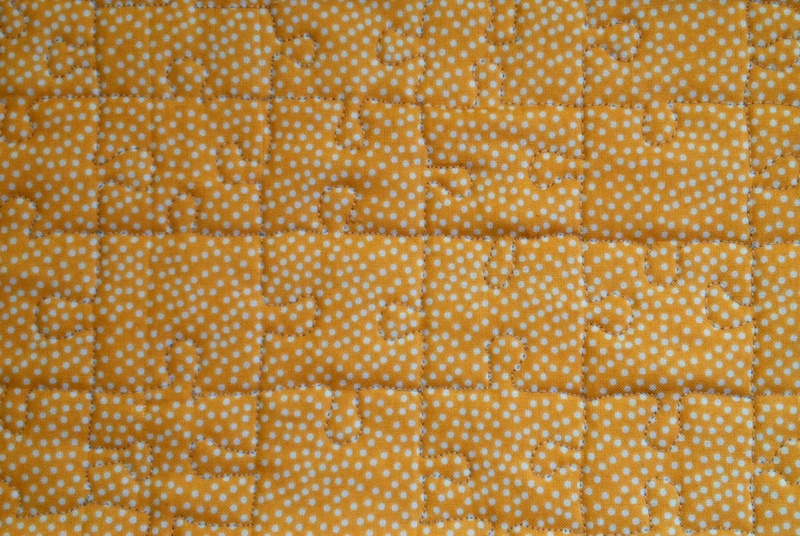 Since this quilt is going to a baby, I am trying to use varied quilting patterns to help make rolling around on the quilt a sensory adventure. I hope those adorable little fingers and toes have fun exploring! Here are some of my FMQing so far. 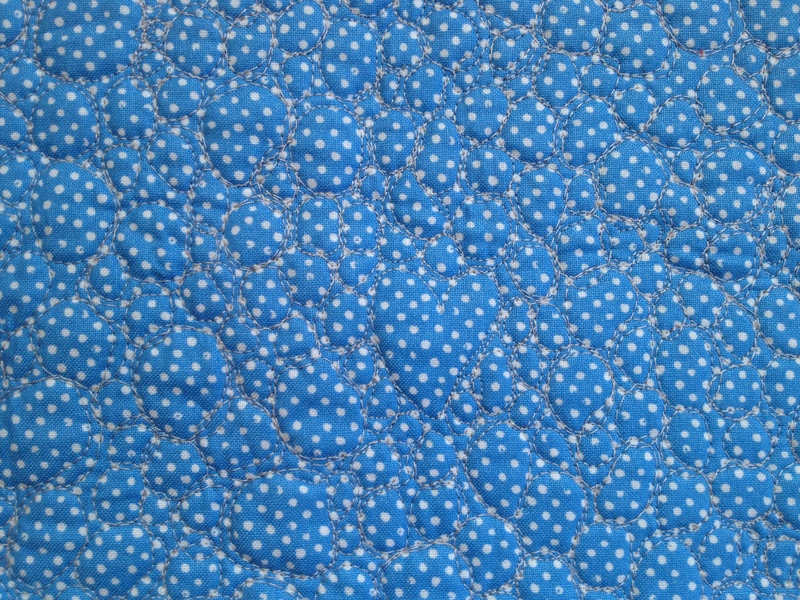 The quilt hasn’t been washed or dried yet since I’m still not finished, but hopefully the designs will be even puffier and more visible (and tangible) after a good wash! 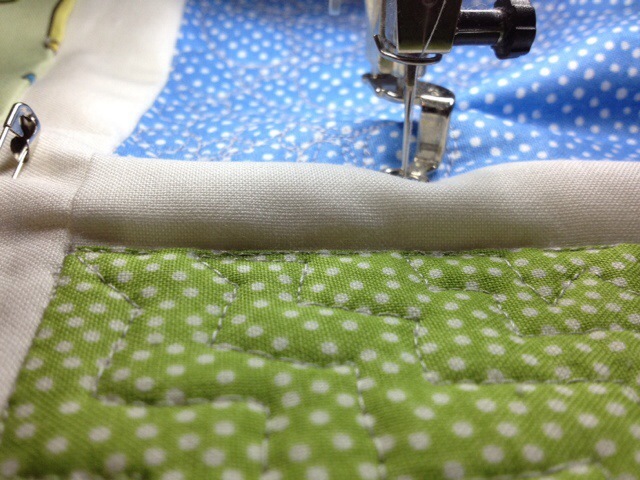 The puzzle and pebbles pattern were both suggested by a fellow quilting friend on facebook. Thank you, Jessica Cook! The puzzle design is from CraftGossip.com. 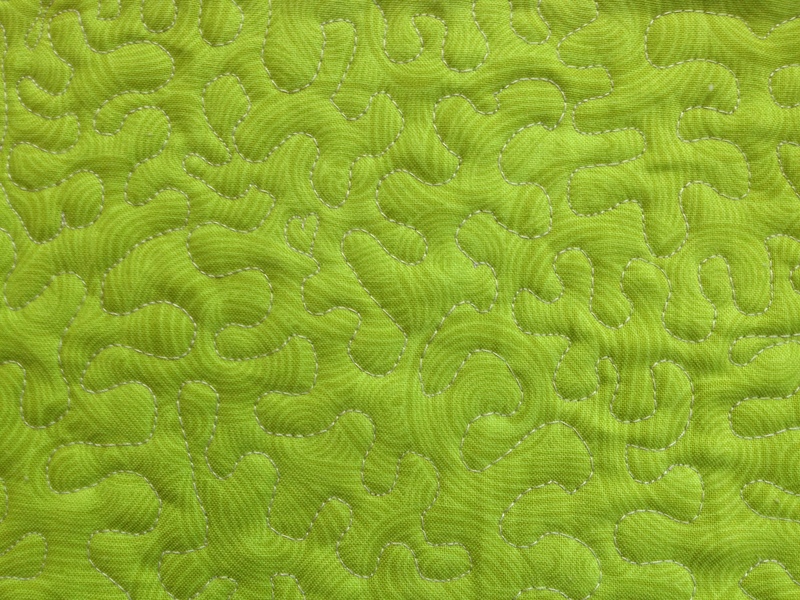 The continuous curve meandering pattern was first seen on Oh, Fransson!, one of my favorite quilting blogs. 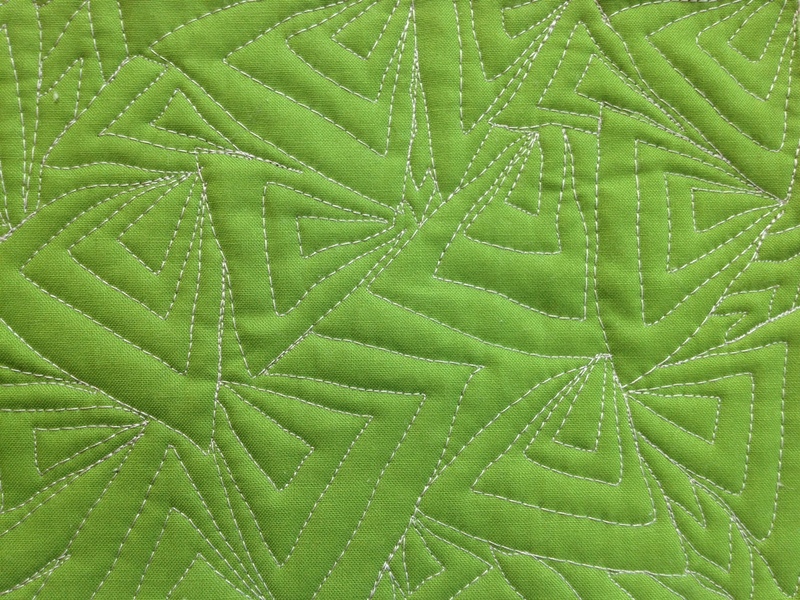 The angular zig zags and pointy paisley patterns were from Leah Day’s amazing Free Motion Quilting Project blog. If you ever need inspiration for free motion quilting patterns, that’s the place to go! What is your favorite FMQ pattern or design? I would love to see! 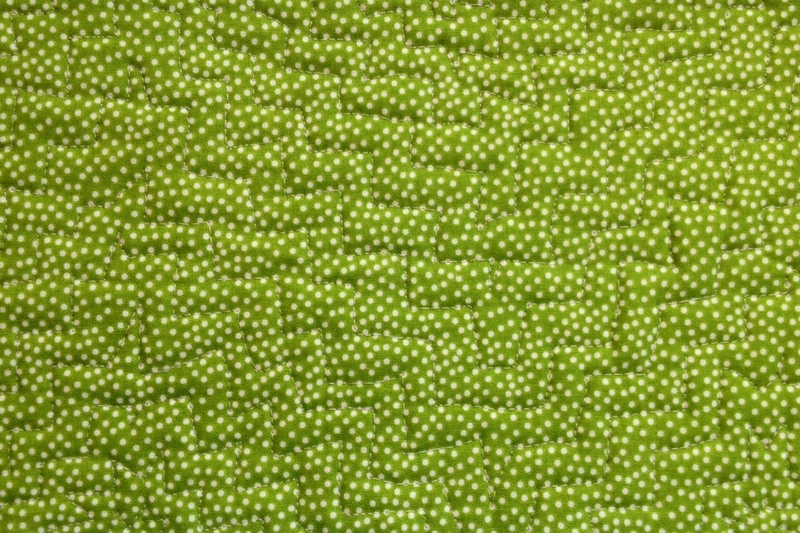 See the completed quilt HERE! I hear this sage advice often, especially when a fellow quilter posts pictures of newly finished quilts, lamenting the mistakes that only (s)he can see. As a quasi-perfectionist, I know how much little mistakes and imperfections can stand out. 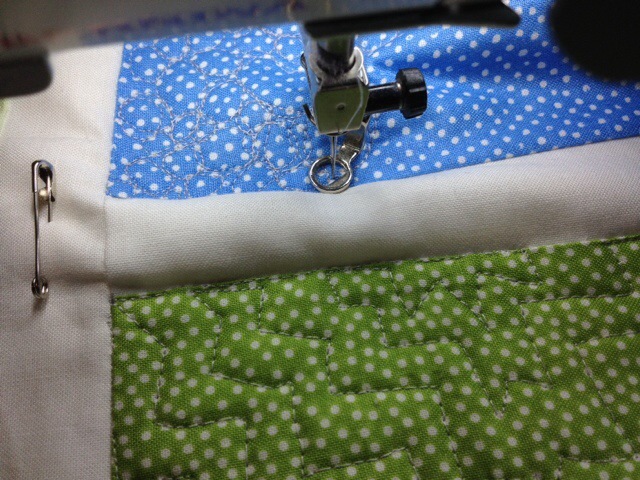 I also am learning when it’s worth befriending the seam ripper and when it’s better to carry on. I was so focused on those awesome, yet breath-stealing pebbles, I didn’t realize I was creating quite a mountainous sashing. But no worries–it’s not a mistake. It’s an unexpected artistic element: a mountainous sensory adventure. Right?